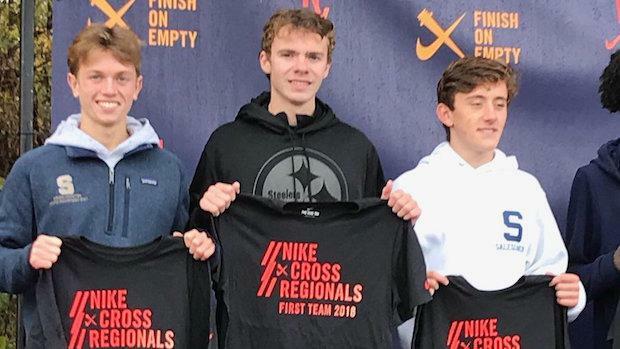 Salesianum School senior teammates Michael Keehan and Sean Banko both qualified individually for the Nike Cross Nationals with their races this past Saturday at the Southeast Regional. Keehan finished 5th in the race with a time of 15:15 and was closely followed in the finish chute by his teammate Banko in 7th place with a time of 15:20. The race was a 2 second PR for Keehan and Banko was just 2 seconds off his PR. 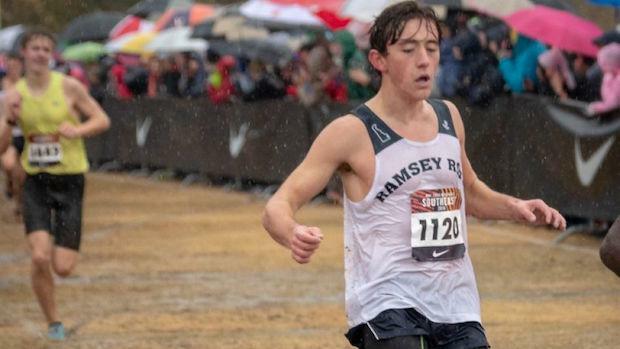 Ironically, Keehan and Banko are one of two duos from the same team who qualified individually for Nike Cross Nationals within the Southeast Region. Obsaa Feda and Eldad Mulugeta from Northwood High School in Maryland will also join them as individual qualifiers for the region in Oregon. The Salesianum School boys were the top Delaware team finisher in the meet as well in 10th place with 316 points competing as Ramsey Road. 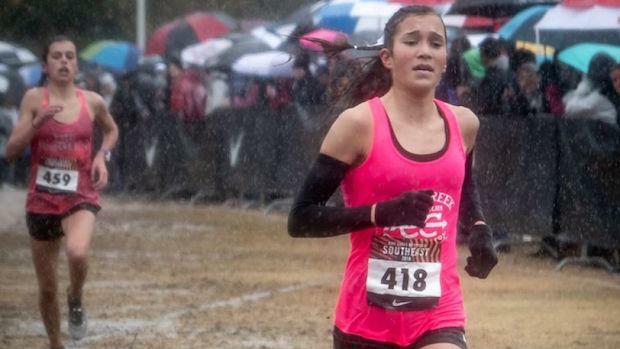 Elizabeth Bader and the Padua Academy led the way for the state in the girls race as Bader just missed qualifying individually for nationals with a strong 7th place run of 18:03 in the muddy conditions. Her squad also raced well against the region's best as the Division 1 state champs finished 5th overall in the team standings with 214 points. Only 15 points off the third place squad, which draws first consideration for an at-large berth to nationals. Padua had 4 of the state's fastest 5 individual performers in the meet with Bader, Alicia Lenoir (27th, 18:51), Anna Cleary (39th, 19:05), and Katherine Hally (80th, 18:34). St. Mark's freshmen Tiffany Herrera ran exceptional in the invitational division race earlier in the meet to finish 4th with a time of 19:07.